Within multicellular organisms, no cell is an island, entire of itself. On the contrary, cells are interconnected members of a tightly knit community. Working together, cells differentiate to establish the form and structure of organs and body parts, a process called morphogenesis. 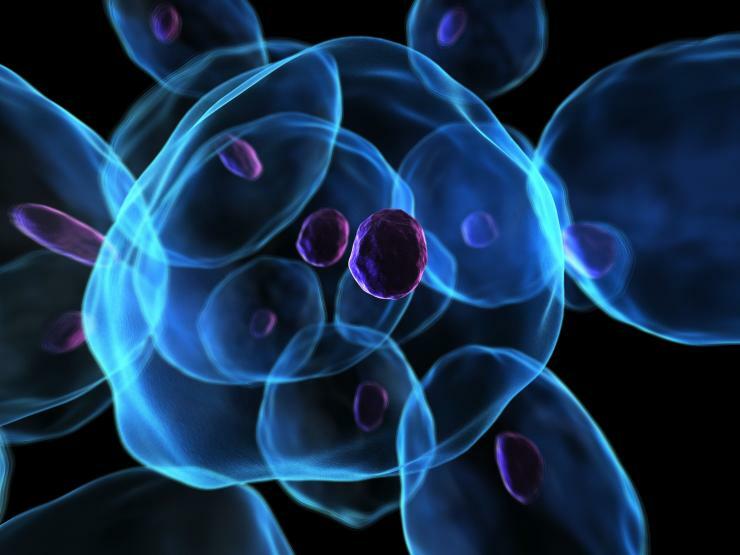 It’s important to examine the fundamental cell biology principles that govern this process, to reach a better understanding of developmental biology and engineering novel multicellular systems, but there are a number of challenges. Functional micro-tissues derived from pluripotent embryonic stem cell (ESC) aggregates provide novel platforms for experimentation, but clarifying the factors that direct emergent spatial phenotypic patterns remains a hurdle. Computational modeling offers a complementary approach and provides a wealth of spatiotemporal data, but quantitative analysis of simulations and comparison to the experimental data is difficult. Quantitative descriptions of spatial phenomena across multiple systems and scales would enable unprecedented comparisons of computational simulations with experimental systems and leverage the ability of computational methods to interrogate the mechanisms of multicellular biology. To address these challenges, a group of researchers from multiple disciplines at the Georgia Institute of Technology have developed an innovative, portable pattern recognition pipeline, the first of its kind. “There is a lot of biological data available. To some extent, it’s all image data, whether we’re talking about confocal microscopy or two-dimensional images of cells. The field has made significant advances the last 10 or 15 years in terms of quantifying images, but there are still gaping holes in terms of quantifying spatial patterns and how those emerge in cells over time,” says Doug White, lead author of a research paper entitled, “Quantitative multivariate analysis of dynamic multicellular morphogenic trajectories,” published this summer in the journal Integrative Biology (a publication of the Royal Society of Chemistry). White, a recent Ph.D. graduate from the Wallace H. Coulter Department of Biomedical Engineering, now manages a team using mathematical modeling approaches to understand the guiding principles behind cancer drug design, for Takeda Pharmaceuticals in Boston. The research paper is the result of work he began about three years ago. His Ph.D. was focused on understanding stem cell biology using computational modeling. “We set out to come up with a method that was portable across multiple system that anybody can use, but still powerful enough to extract meaningful data,” he says. The pipeline permits entirely new forms of quantitative analysis based upon the fundamental interconnectivity of multicellular networks, which the research team believes could revolutionize the characterization of biologically complex spatiotemporal phenomena. And it’s the first network-based approach currently capable of using single cell information on spatial positioning and cellular states to classify tissue level pattern dynamics. Their innovation is their ability to take a plain image from a microscope and turn it into a network structure, much like LinkedIn or Facebook uses to study social connections. “We can then use newly defined features of those structures as they evolve over time to understand the underlying biology,” Kemp says. The interdisciplinary team contributing to the research paper includes Petit Institute faculty members Hang Lu (professor and James R. Fair Faculty Fellow in the School of Chemical and Biomolecular Engineering) and Todd Streelman (professor and associate chair for graduate studies in the School of Biology), as well as White’s co-advisor Todd McDevitt, who left Georgia Tech last year to join the Gladstone Institute. Other co-authors were Jonathan Sylvester (postdoctoral fellow in the Streelman lab) and Thomas Levario (graduate student in the Lu lab). All, with the exception of McDevitt, are now based in the new Engineered Biosystems Building in the cell and developmental bioengineering neighborhood. “We’re excited about how this could be used in other prediction-based studies,” Kemp says.